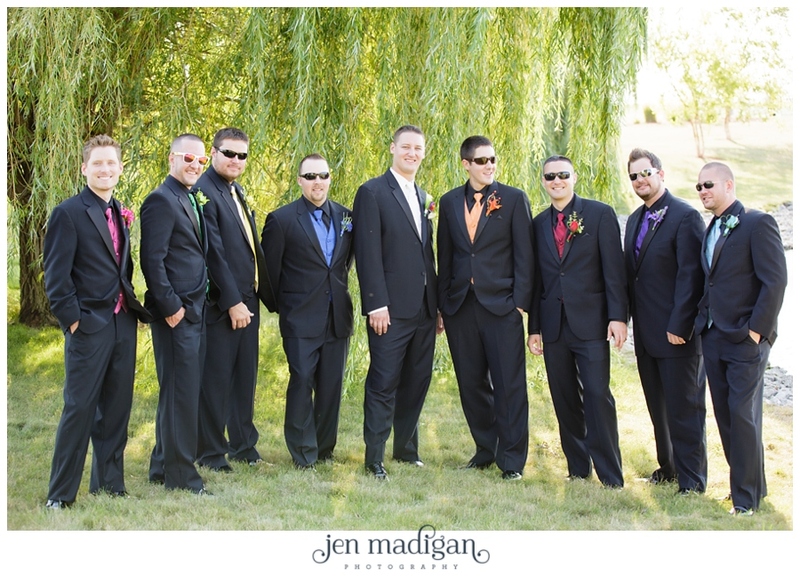 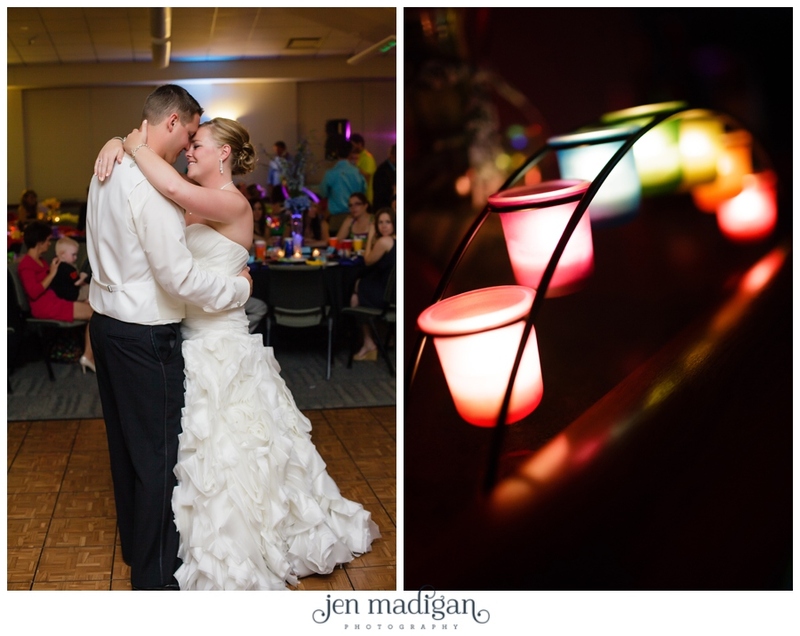 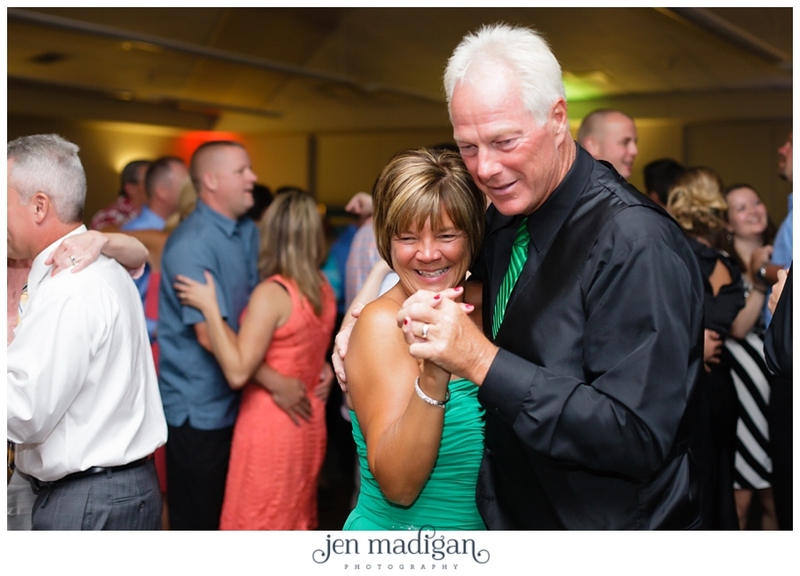 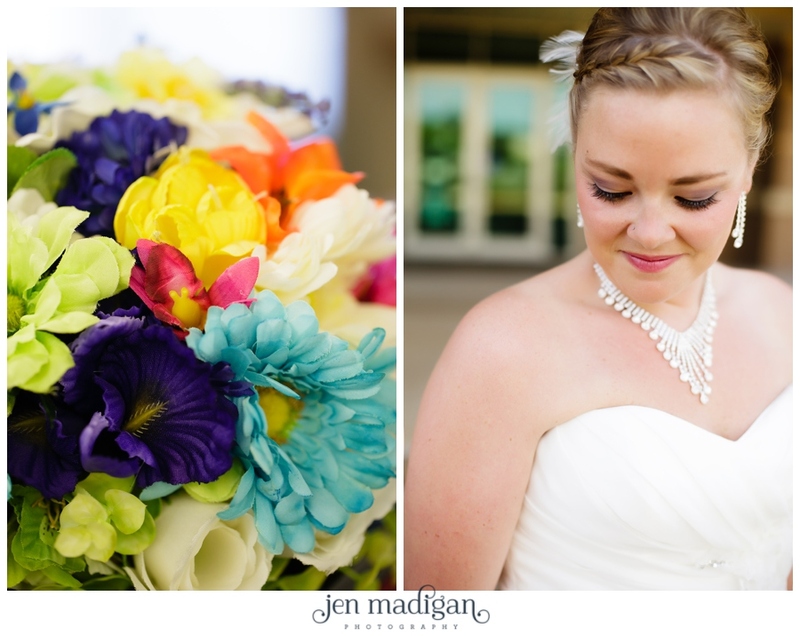 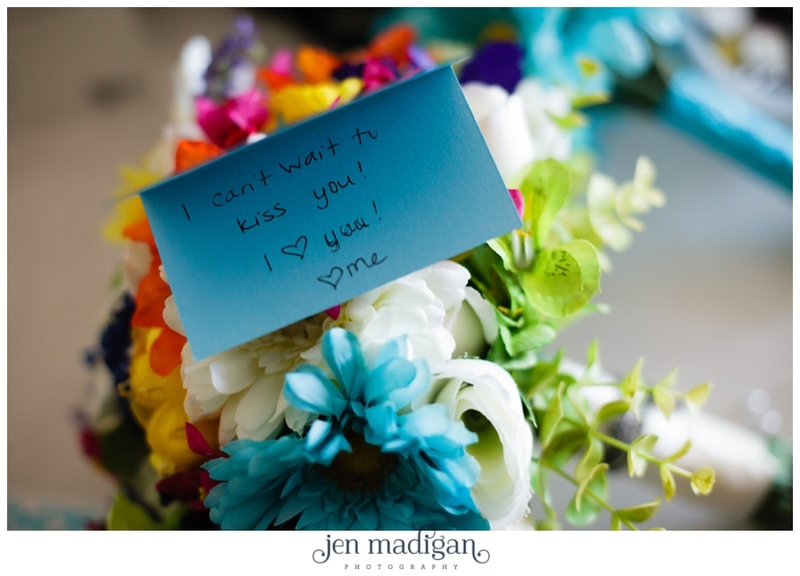 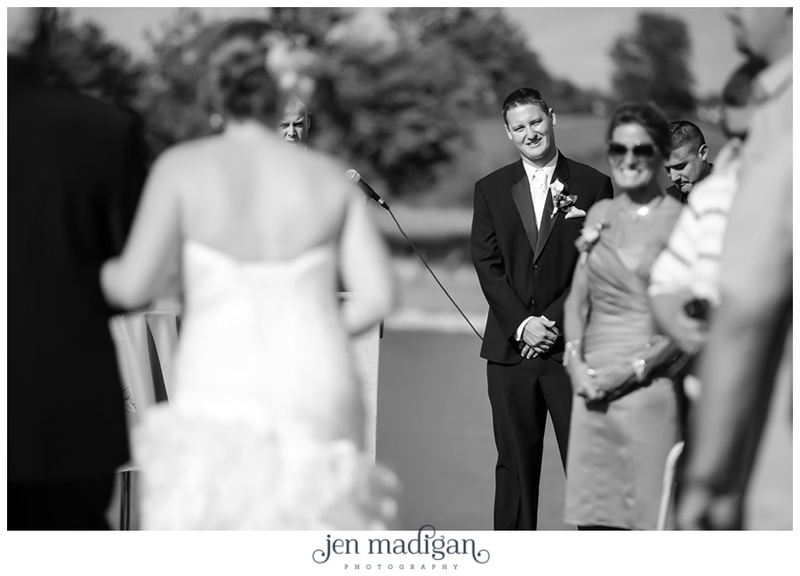 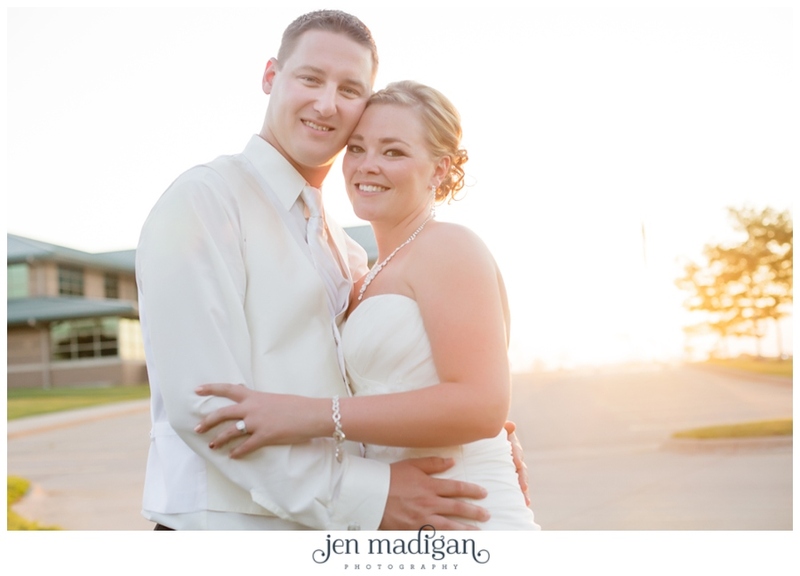 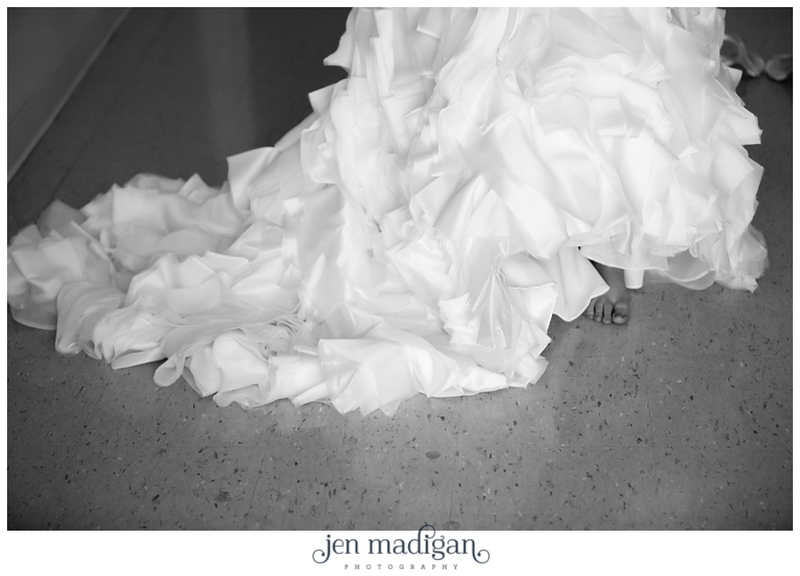 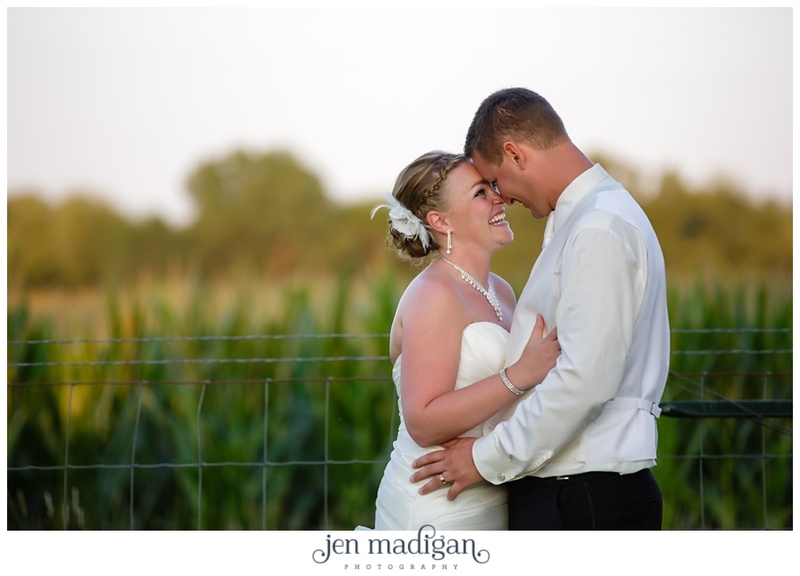 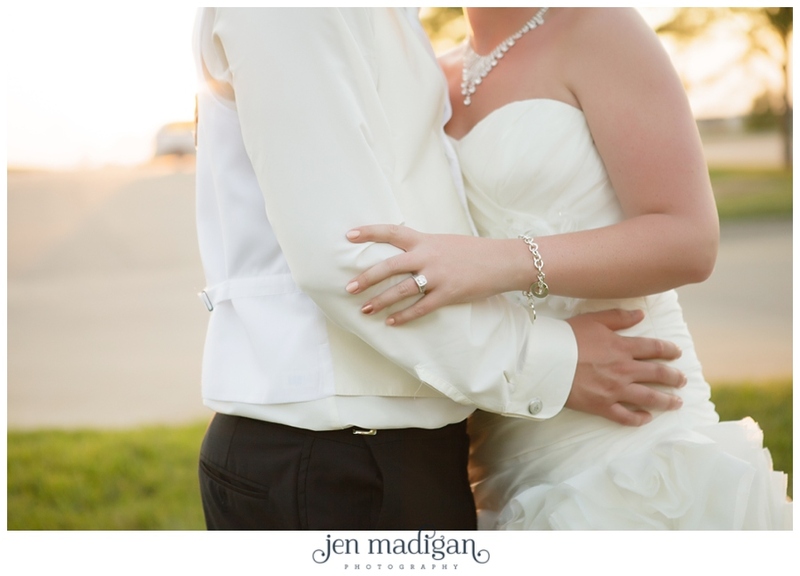 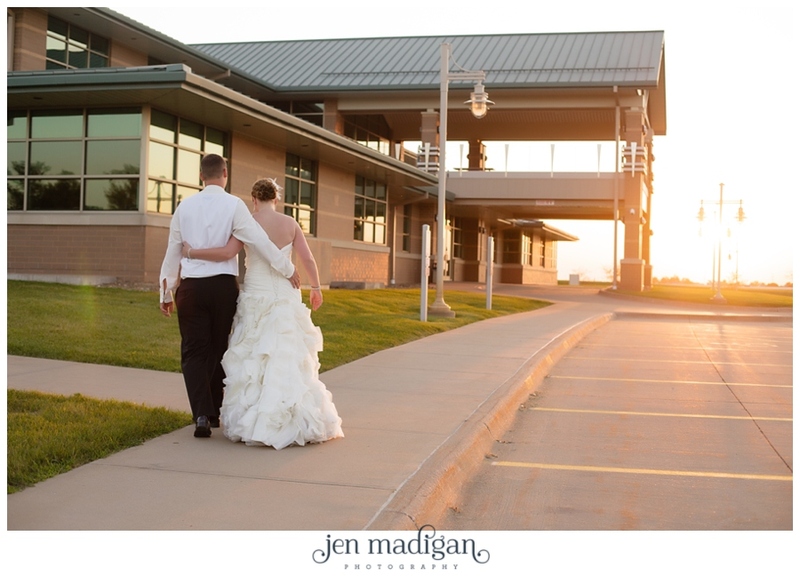 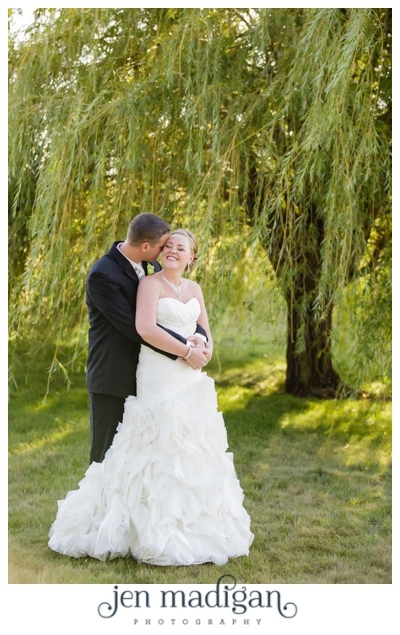 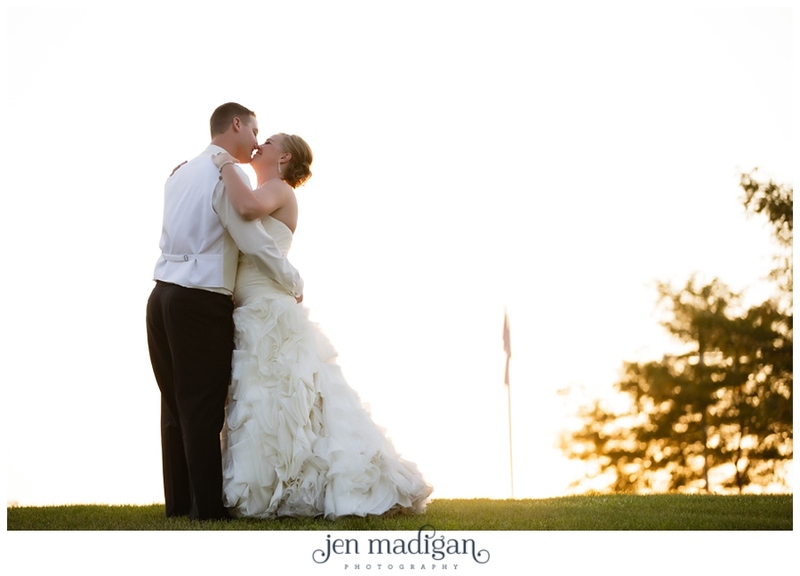 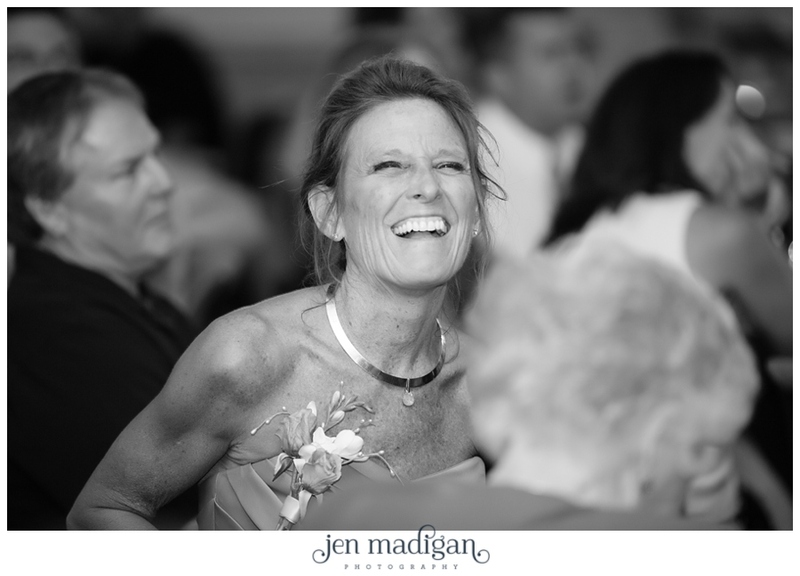 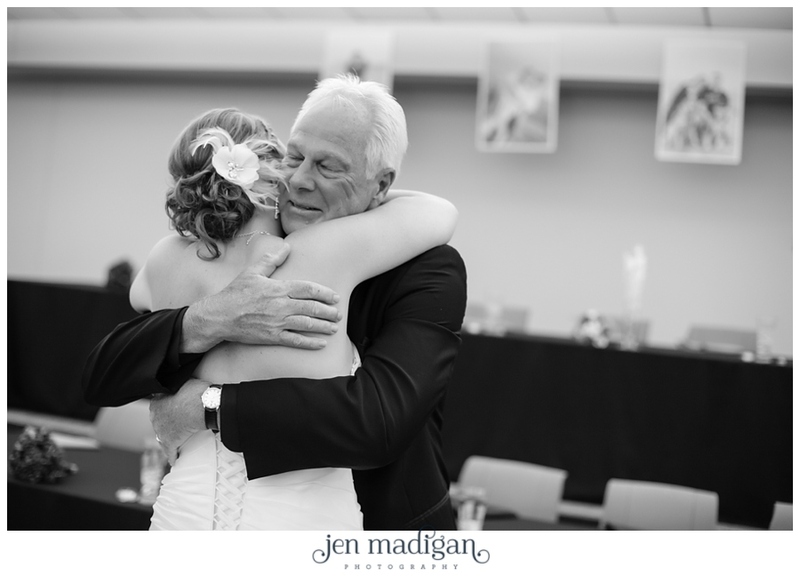 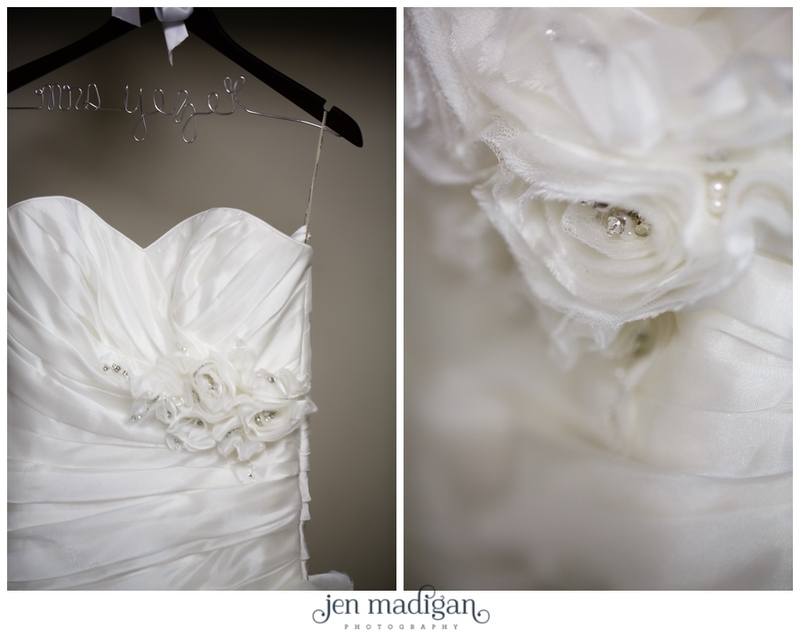 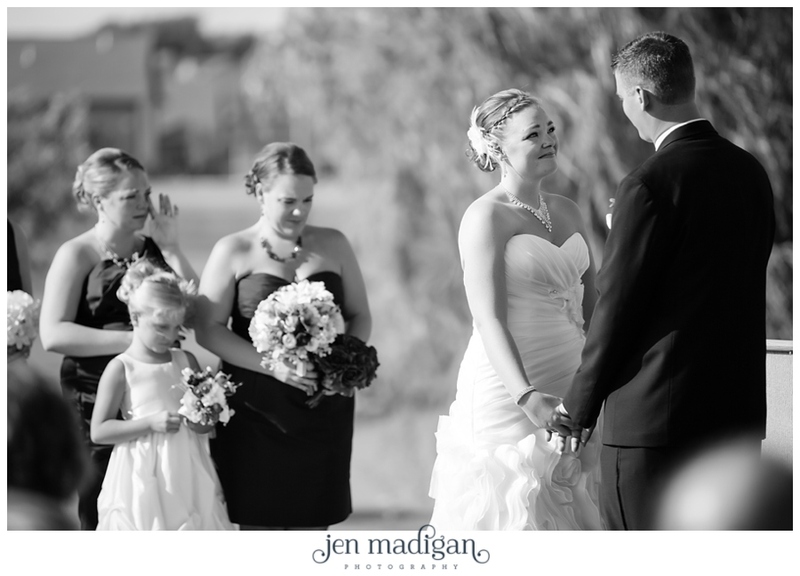 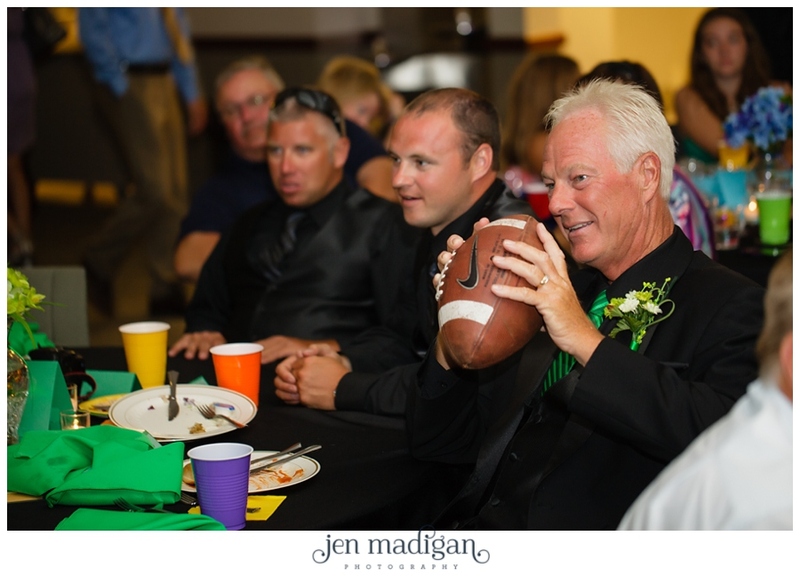 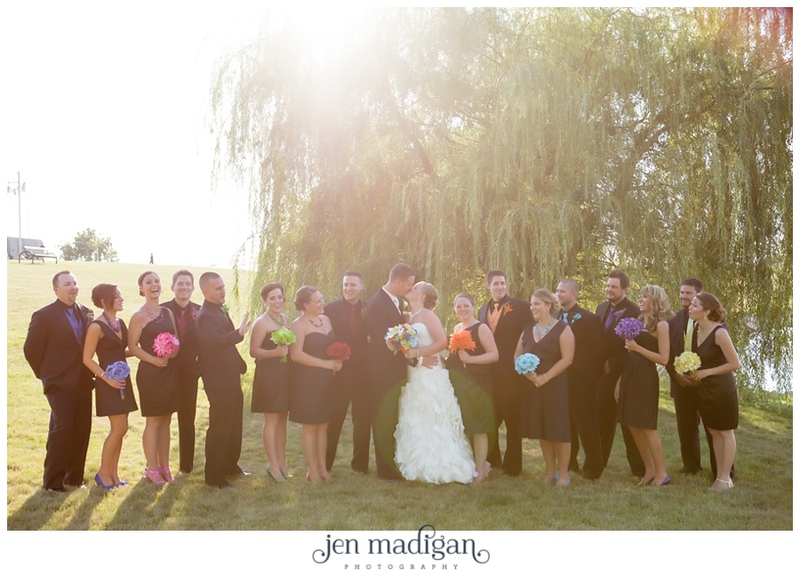 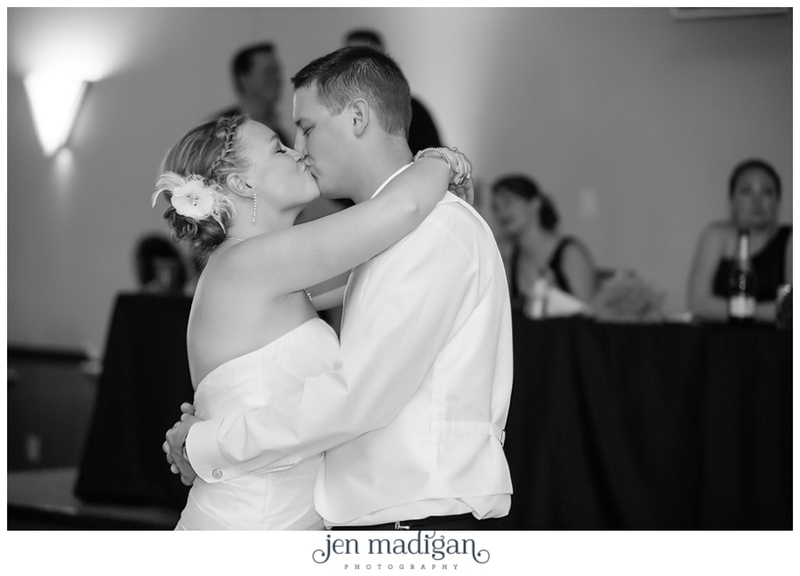 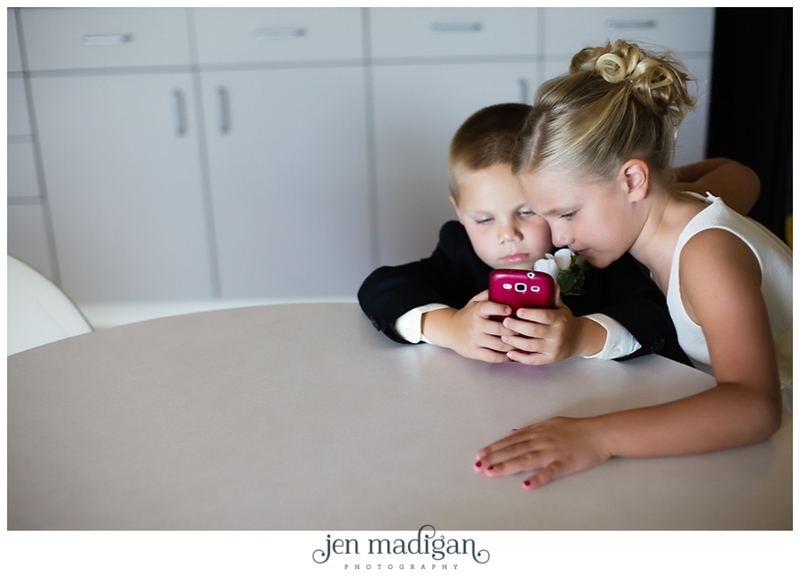 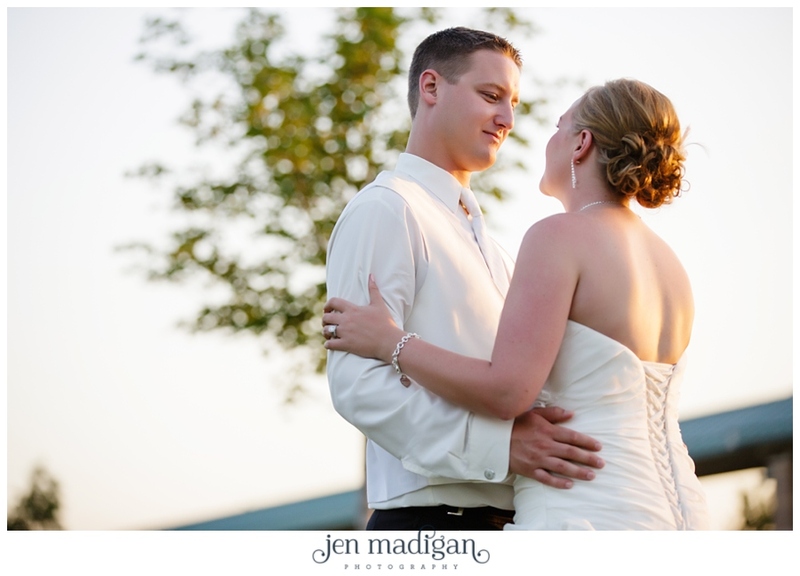 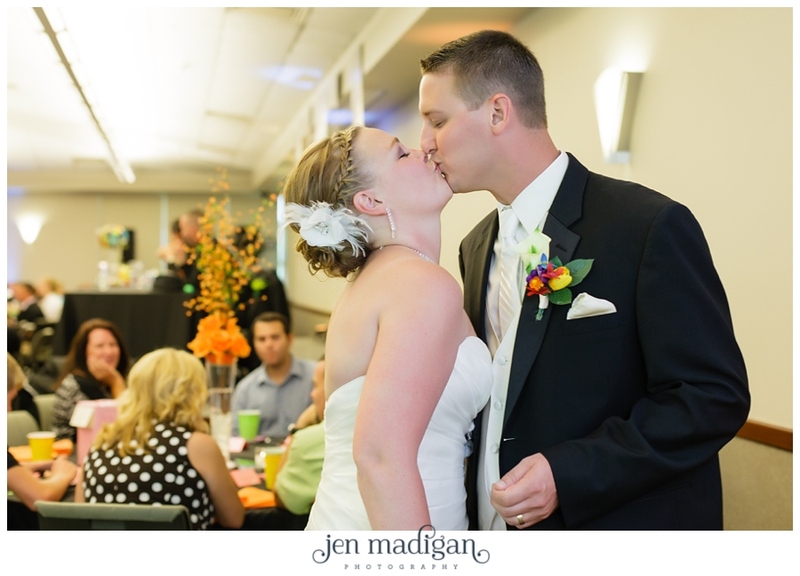 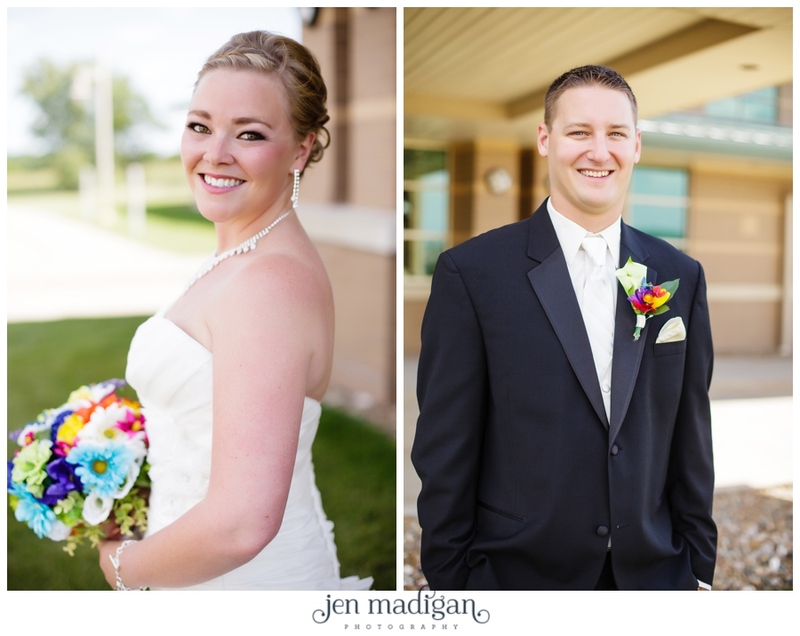 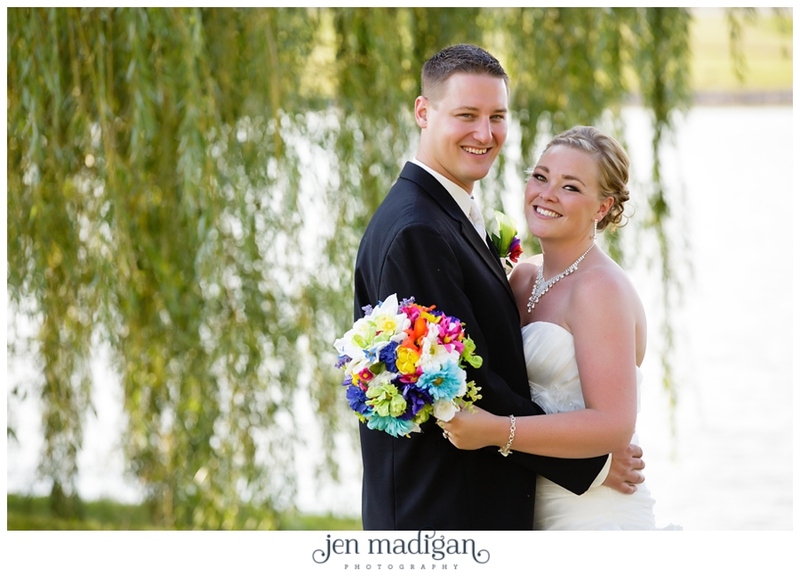 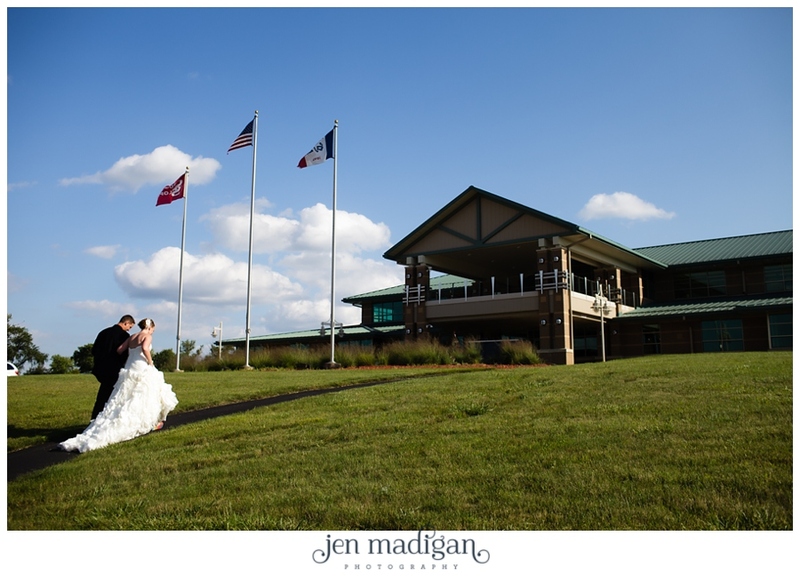 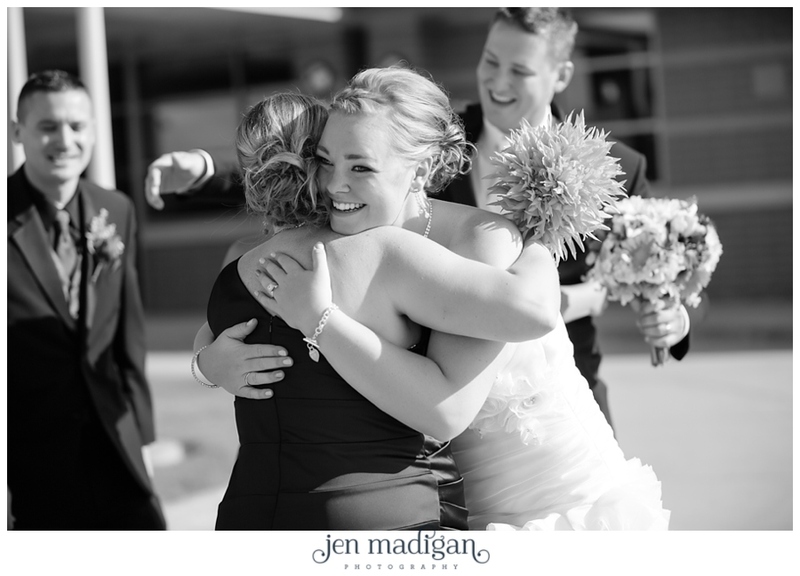 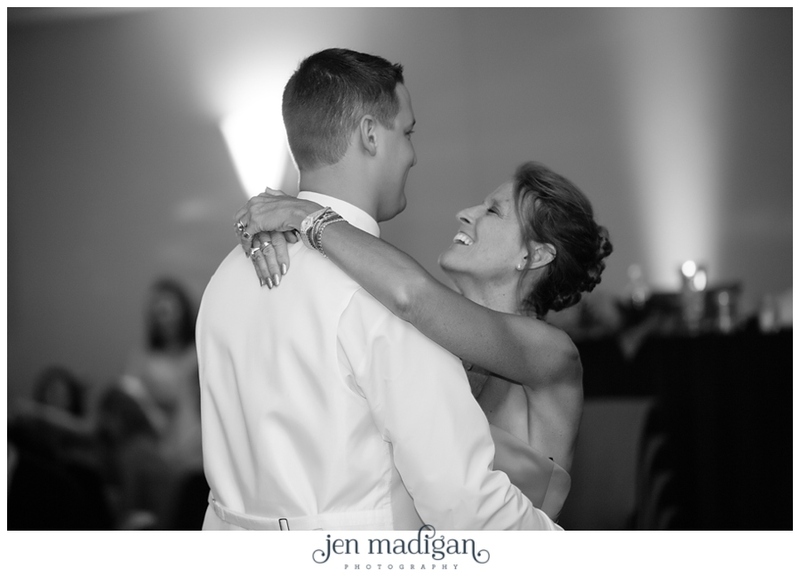 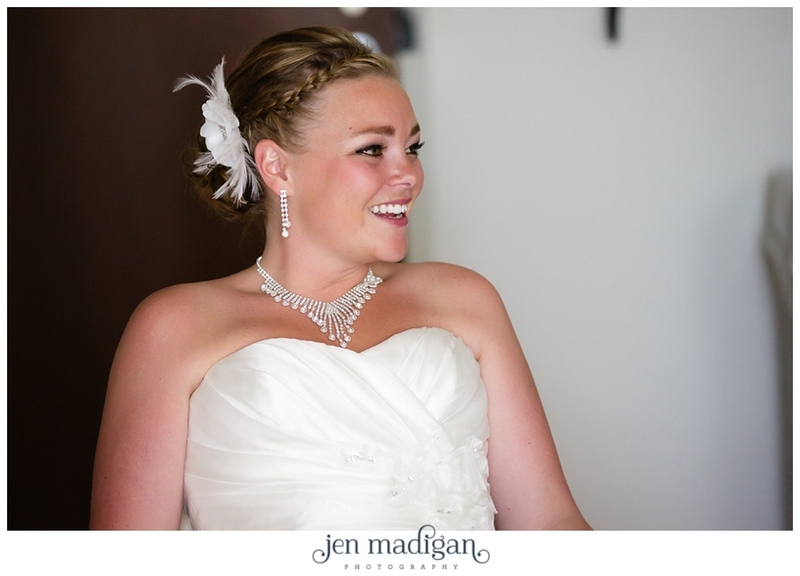 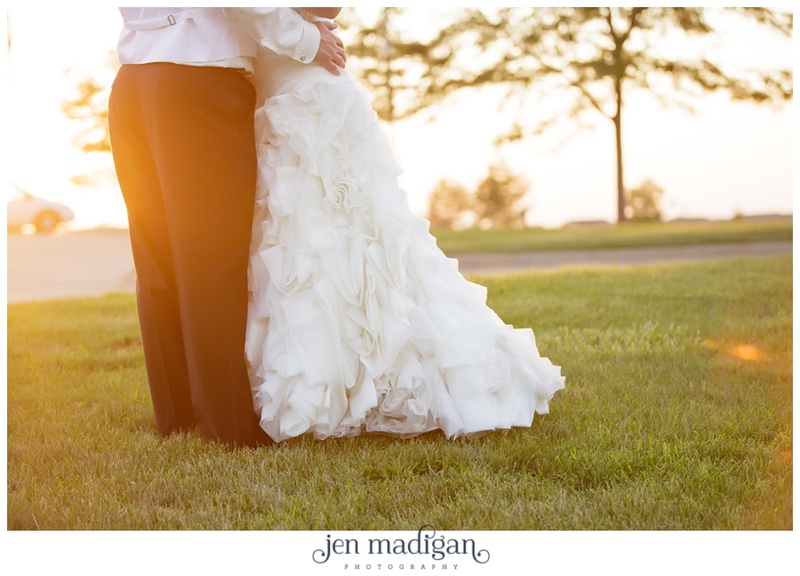 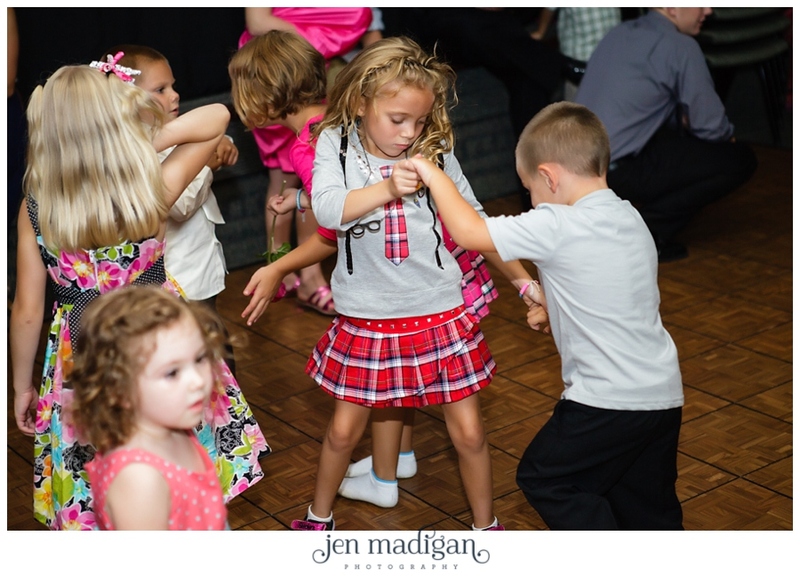 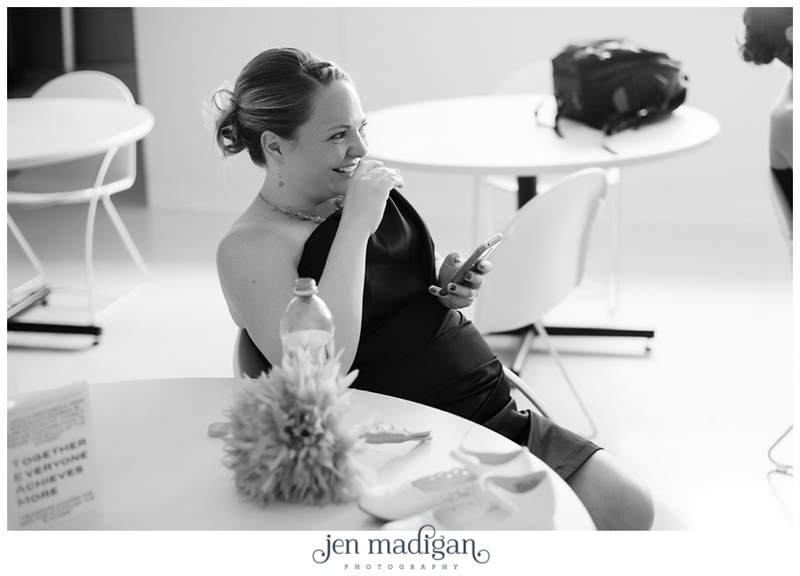 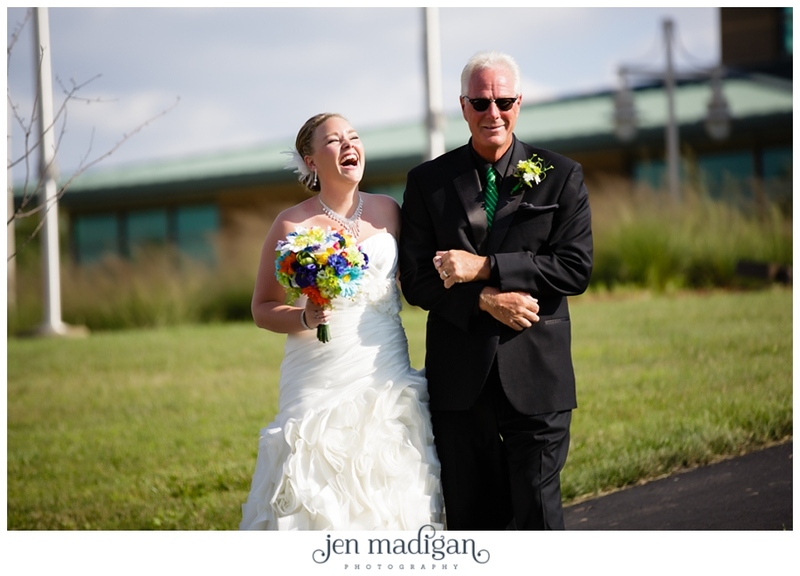 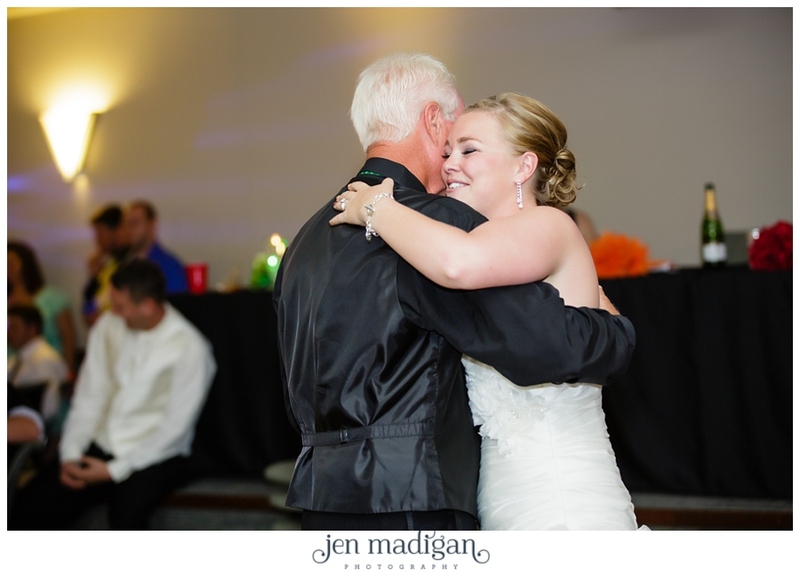 Carly and Jake were married on an absolutely perfect August day at South Slope in North Liberty. 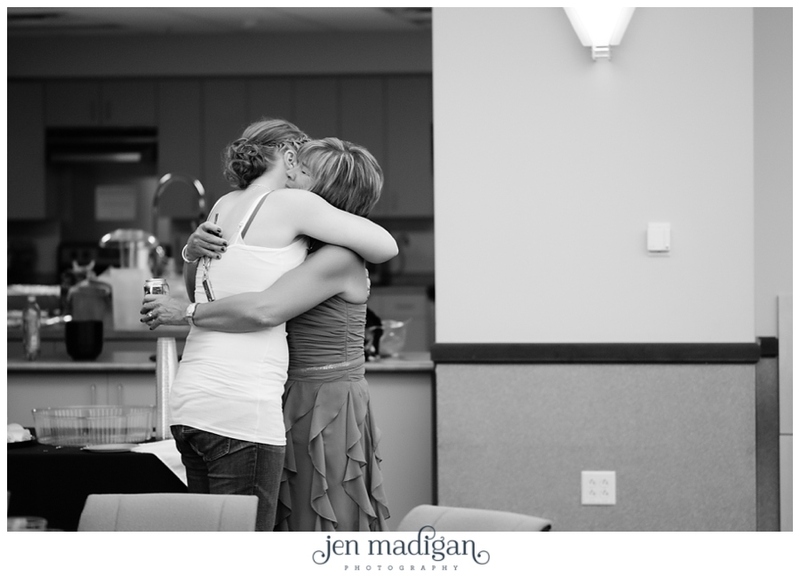 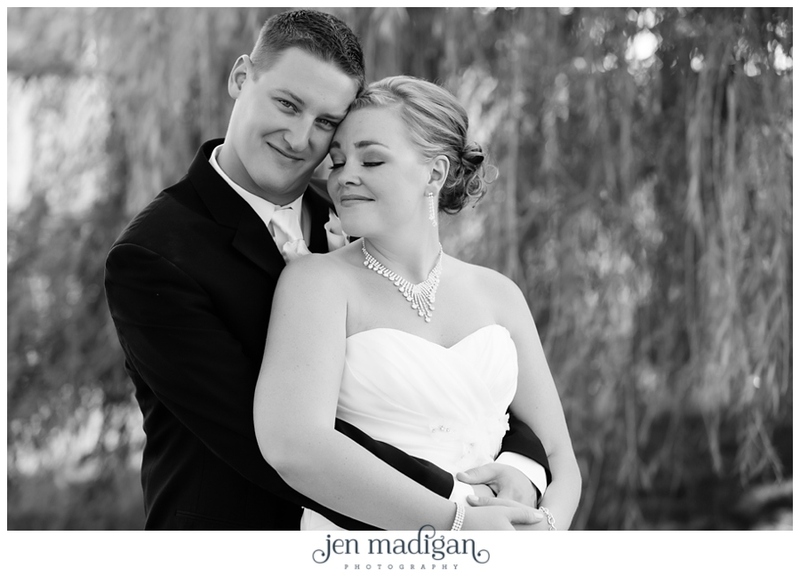 These two are from Iowa, but now live in Colorado, so though I didn't get the chance to take engagement photos of them - I was very much looking forward to their wedding. 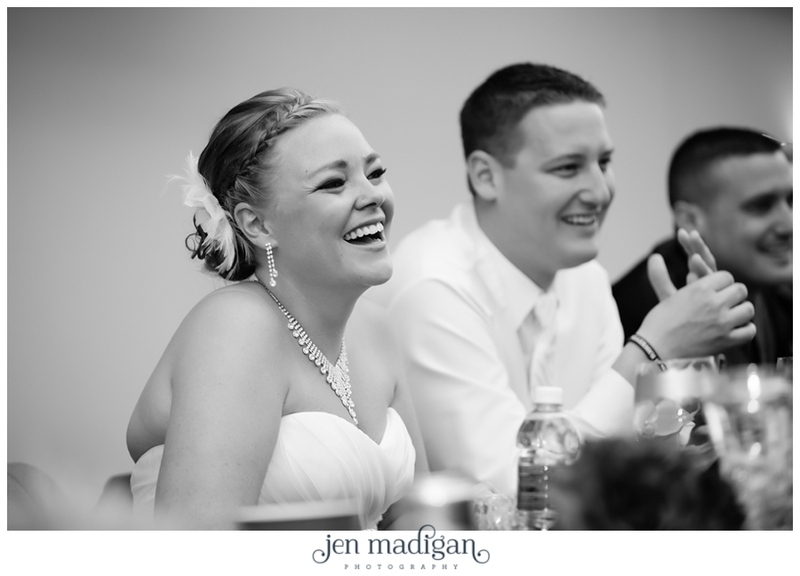 These two are so kind, sweet, and you could truly feel the love and support from all of people who were there to support them as Carly and Jake joined their lives together. 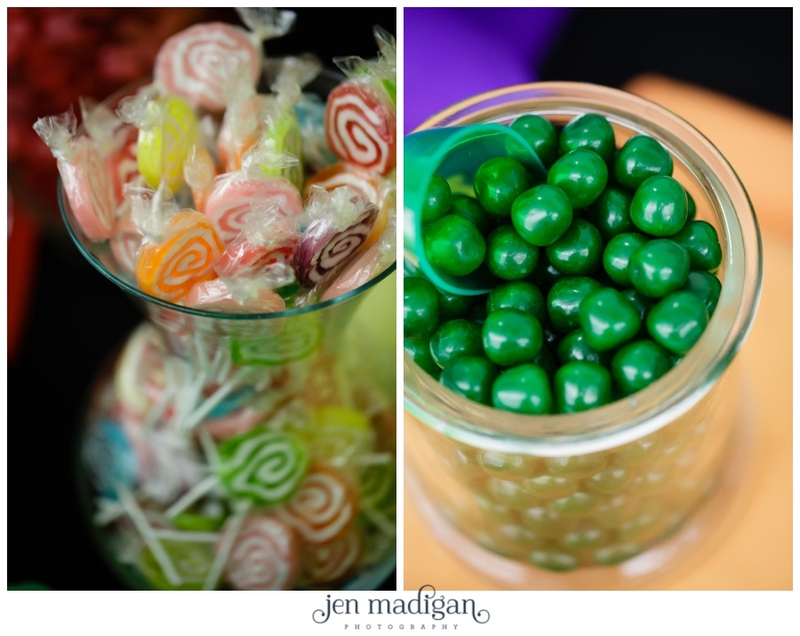 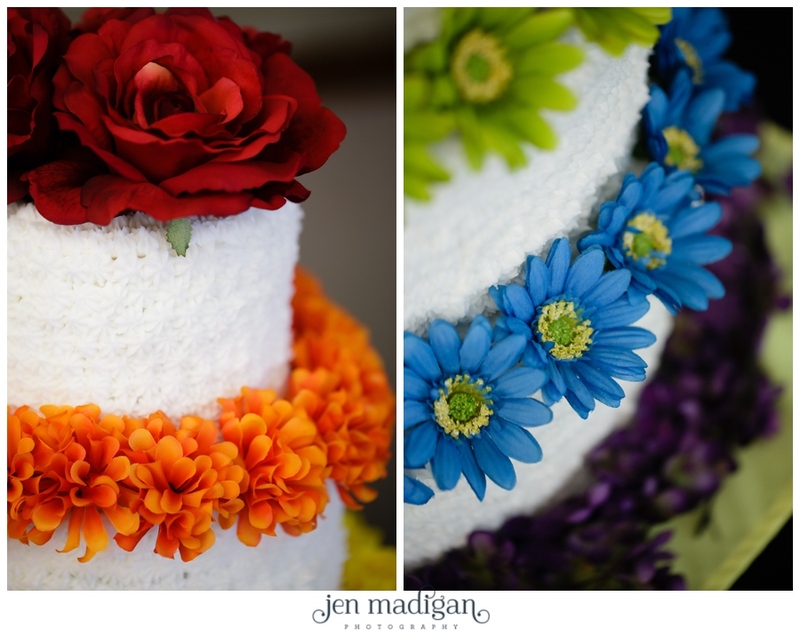 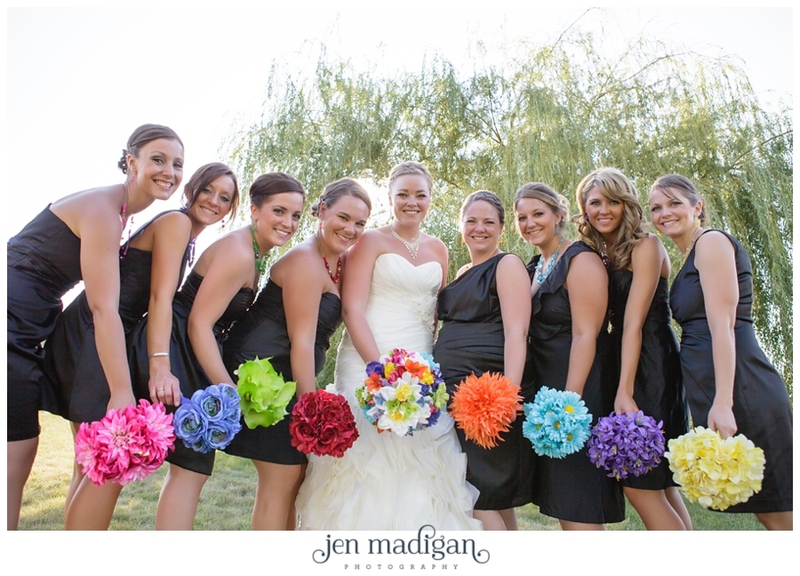 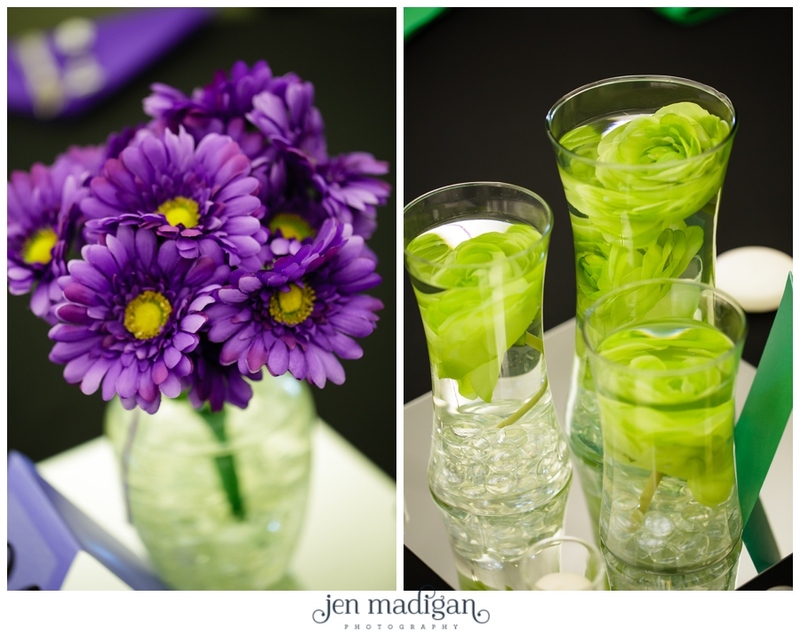 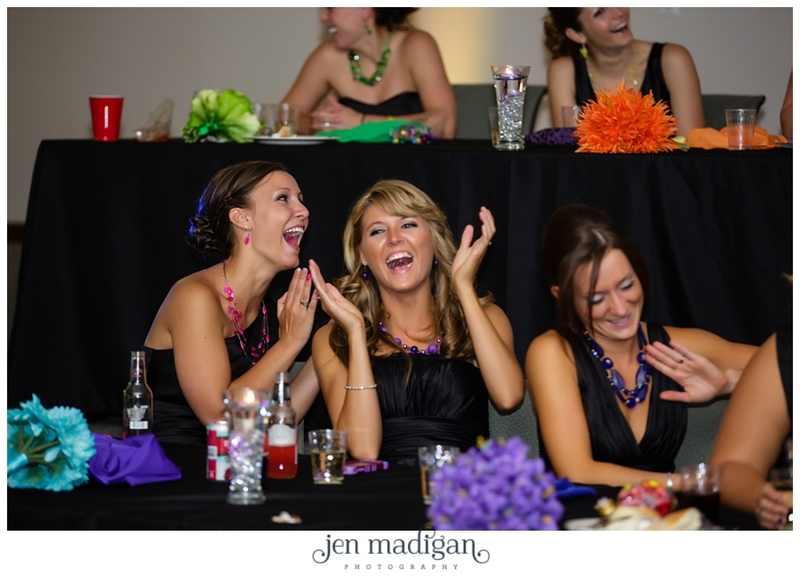 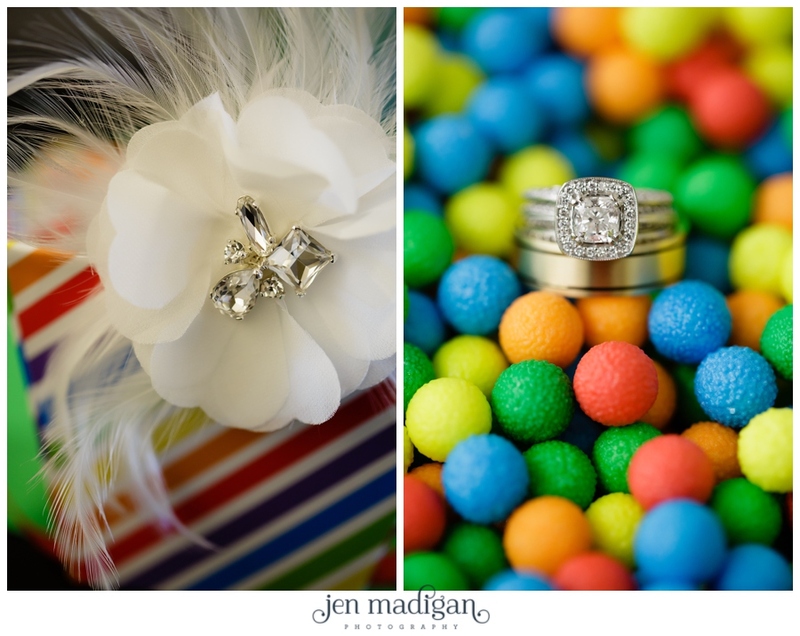 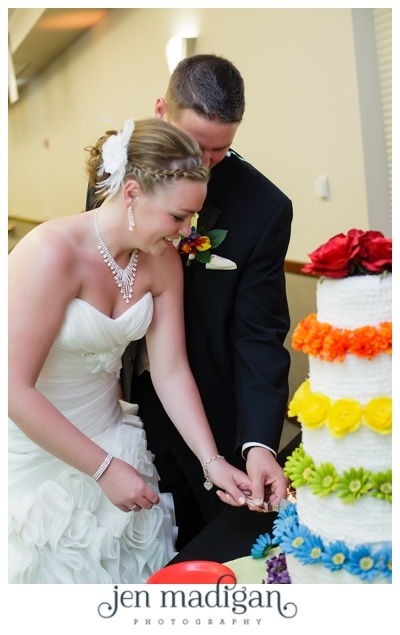 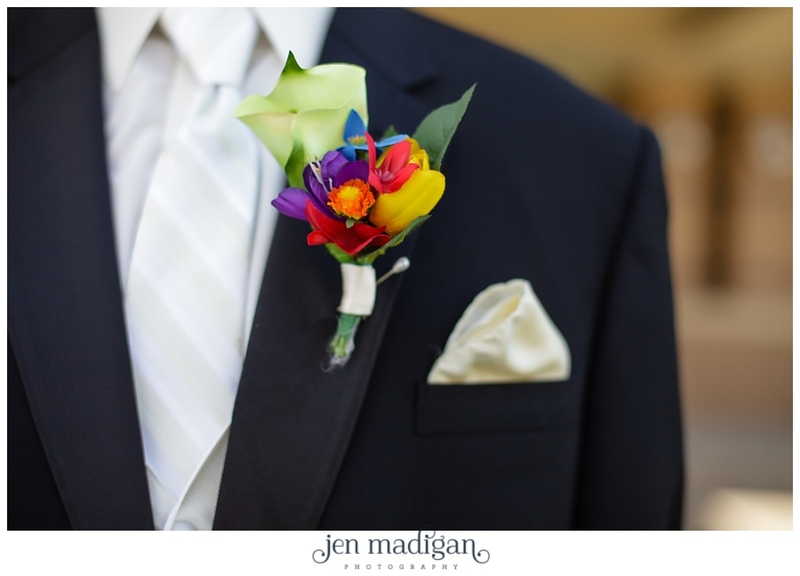 Carly loves rainbows, so they celebrated with an explosion of rainbow colored everything - from the different colored vests on the men to match with the bridesmaid's flowers and shoes, to the stocked candy bar at the reception, and of course, the flower adorned cake. 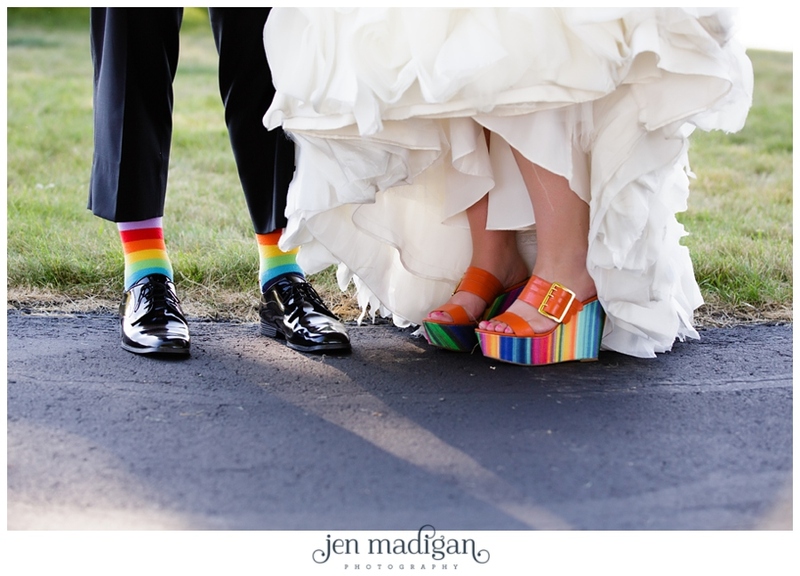 The rainbow is said to symbolize good fortune, and I think it's safe to say that Carly and Jake have boatloads of it coming their way. 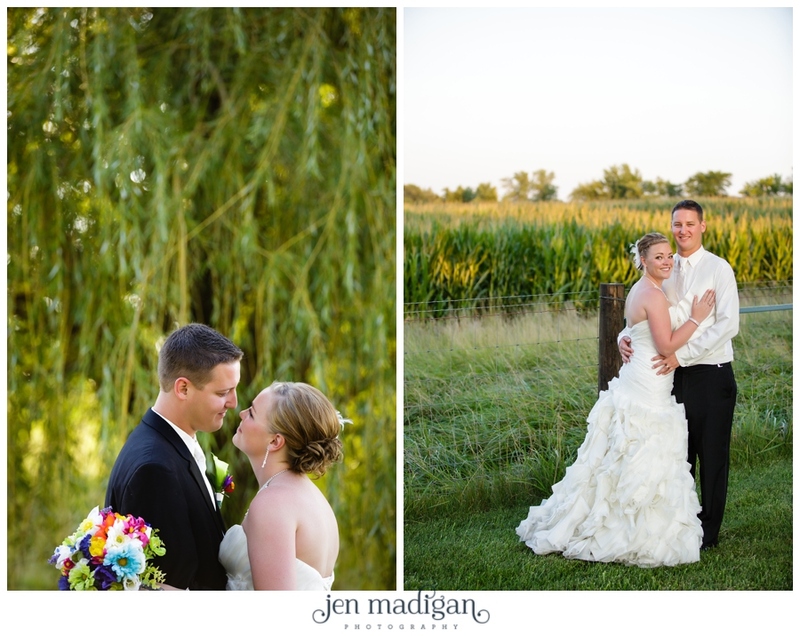 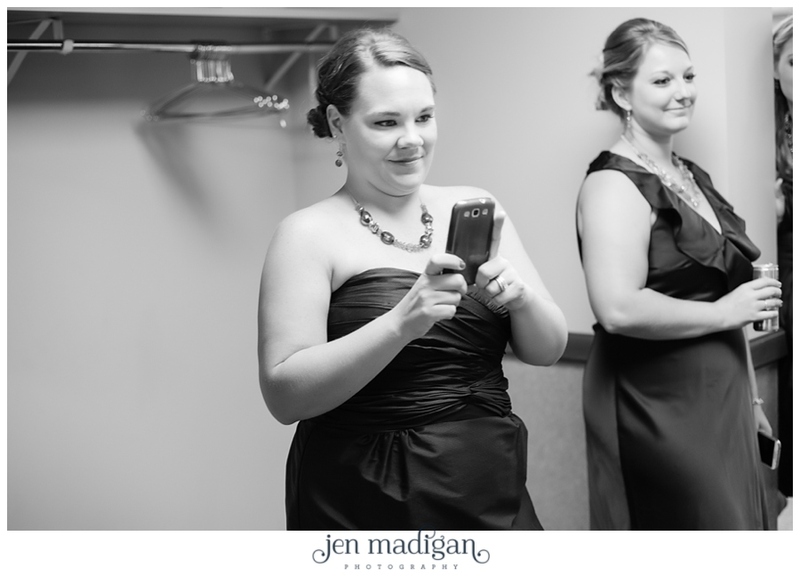 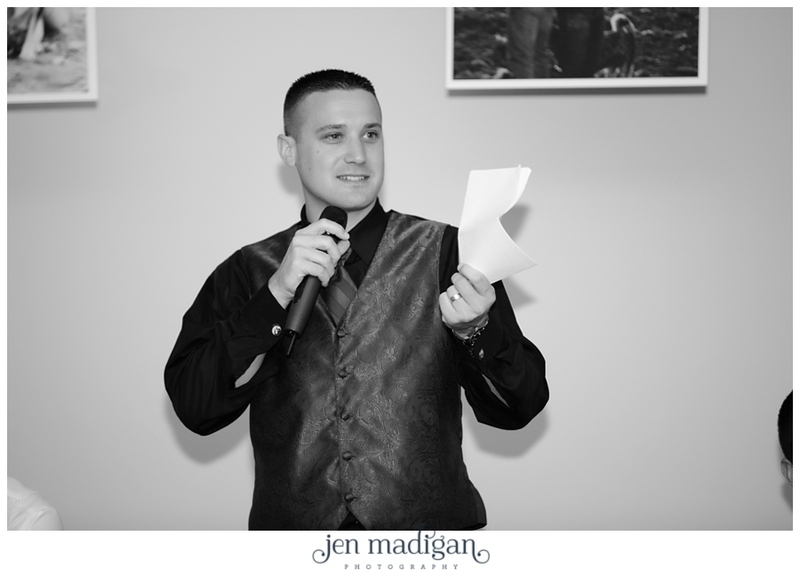 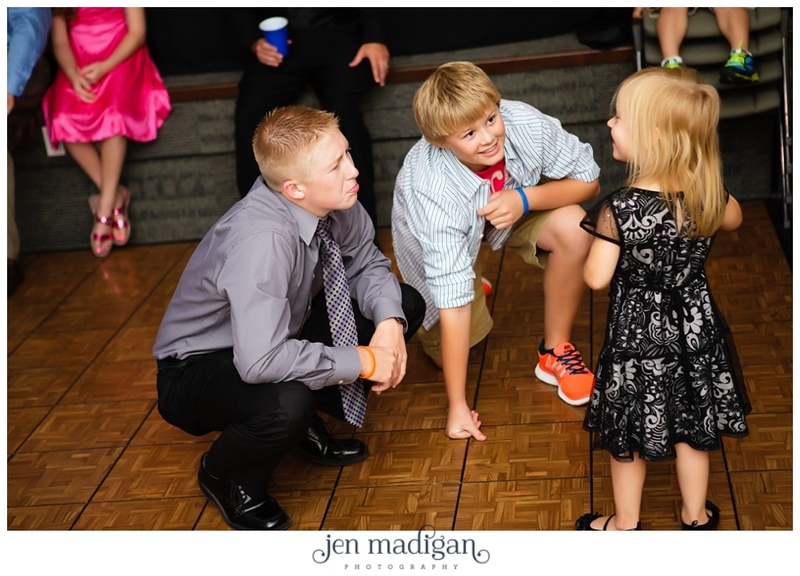 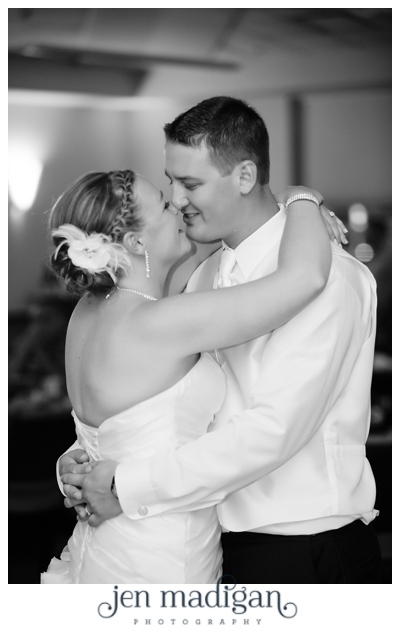 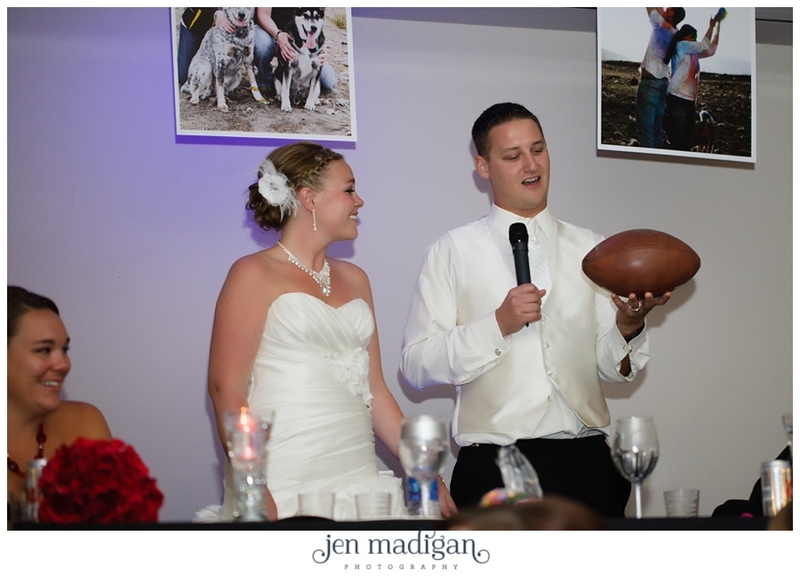 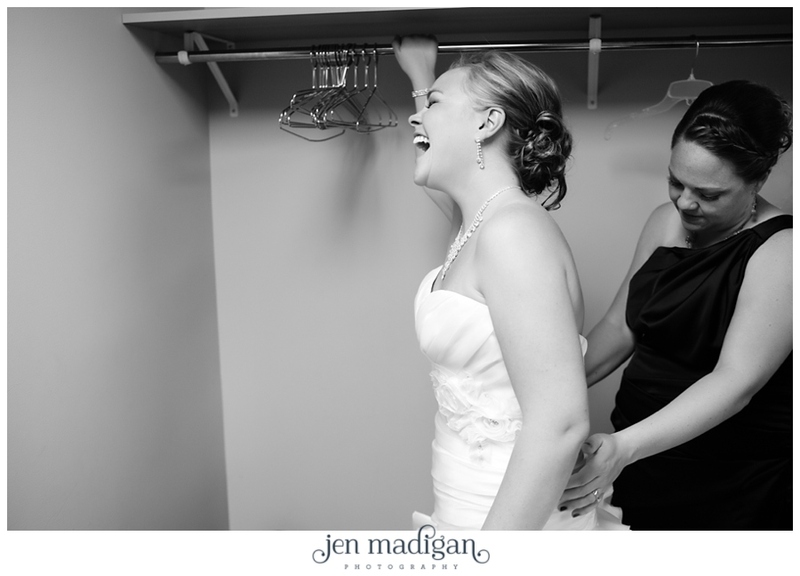 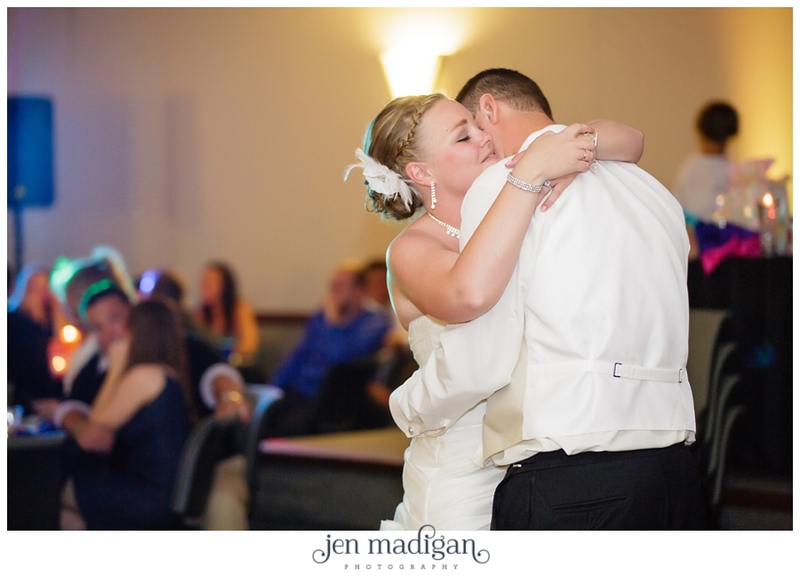 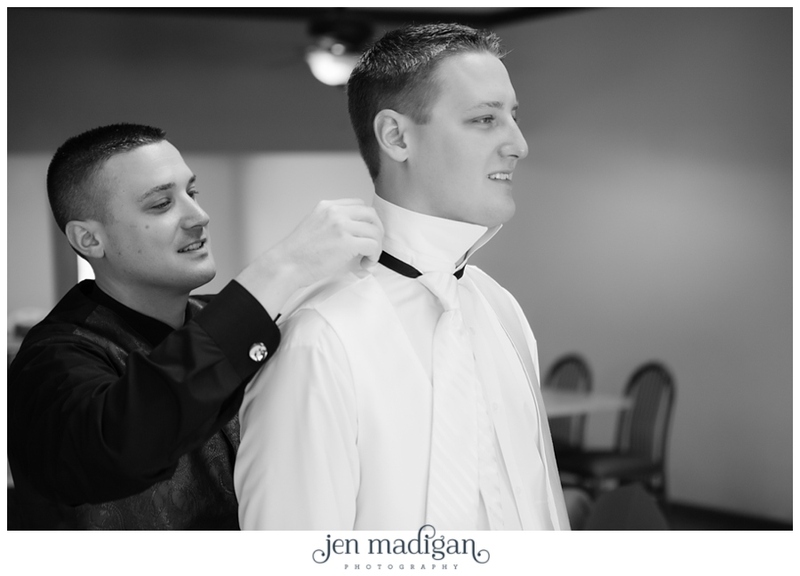 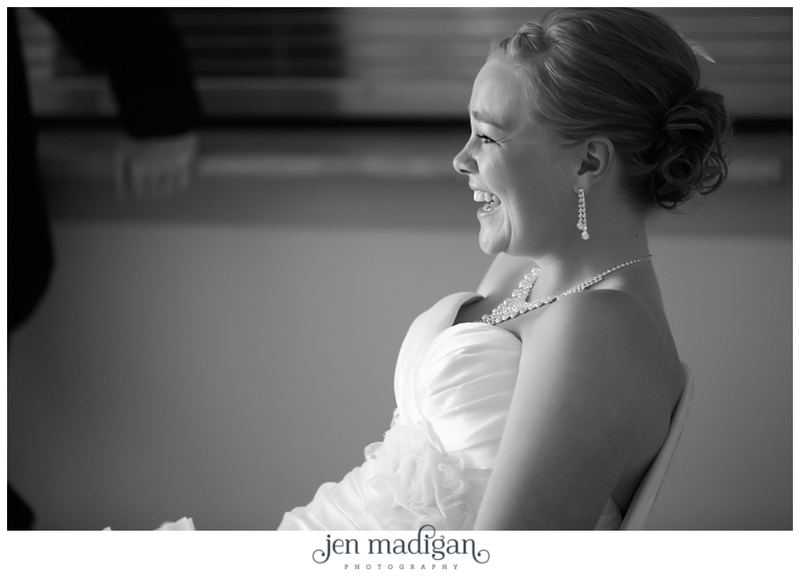 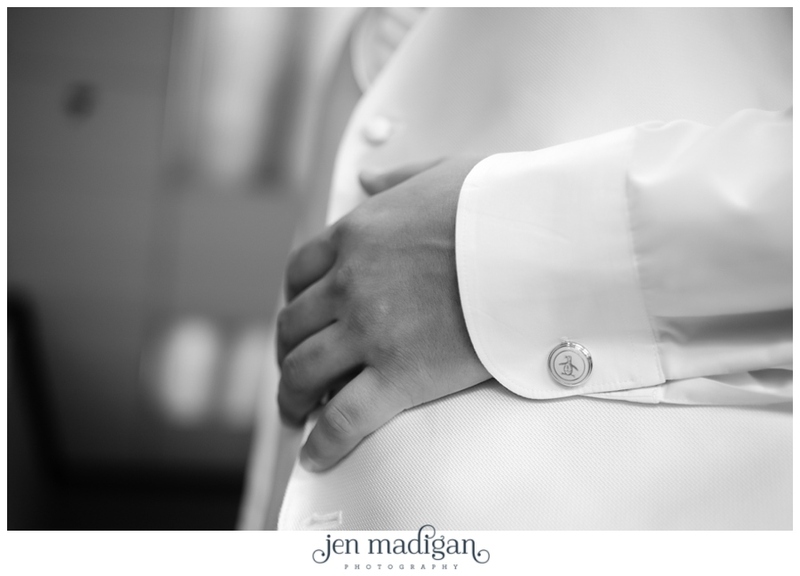 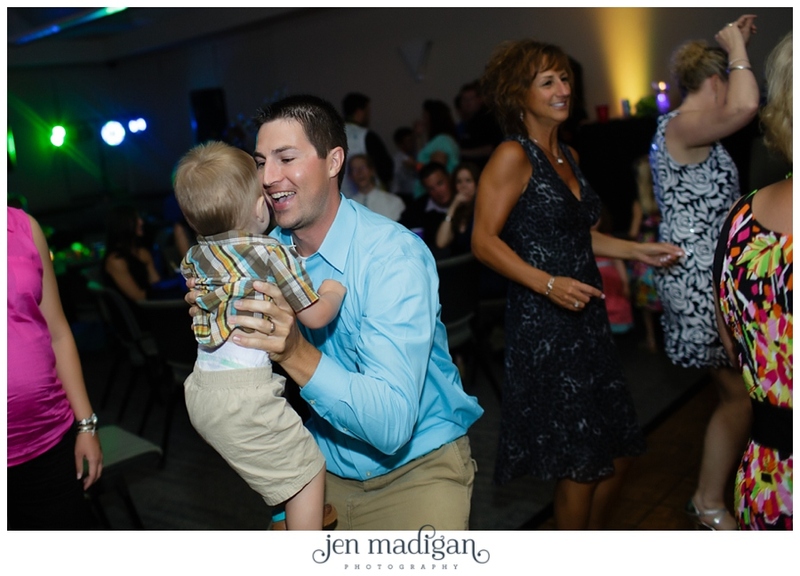 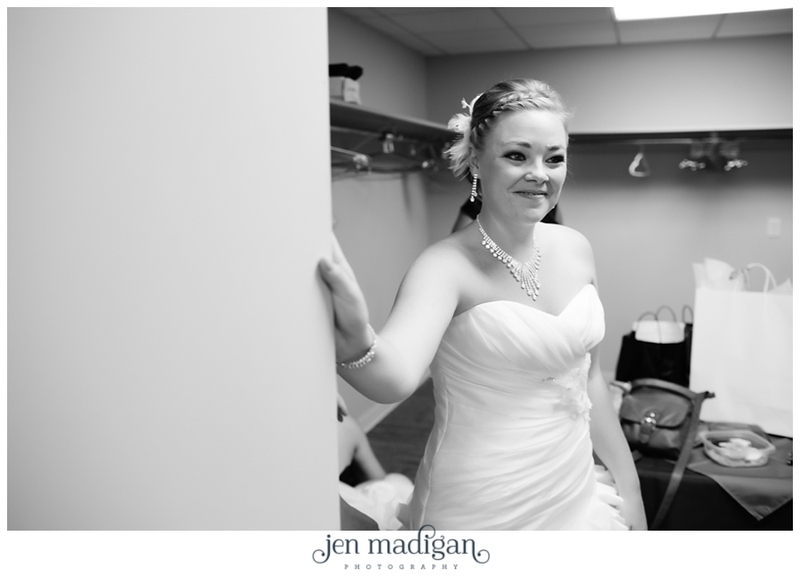 Carly and Jake - thank you so much for choosing us to be a part of your day. 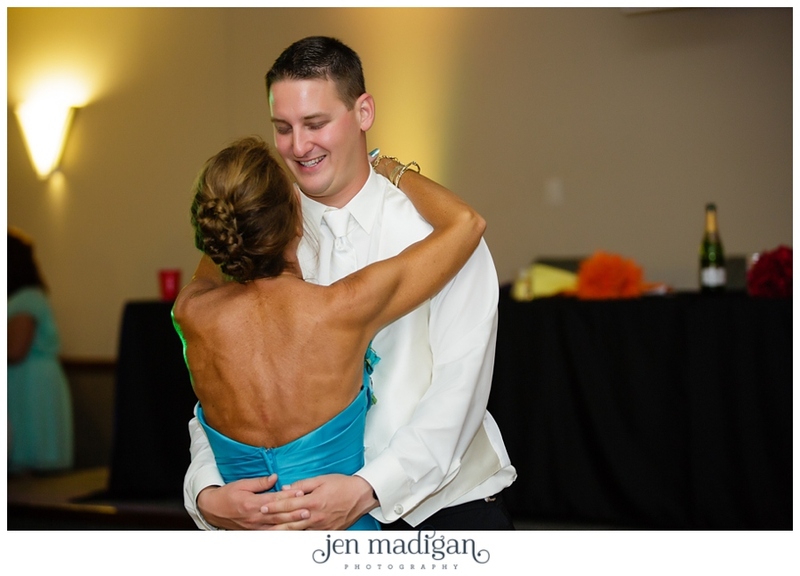 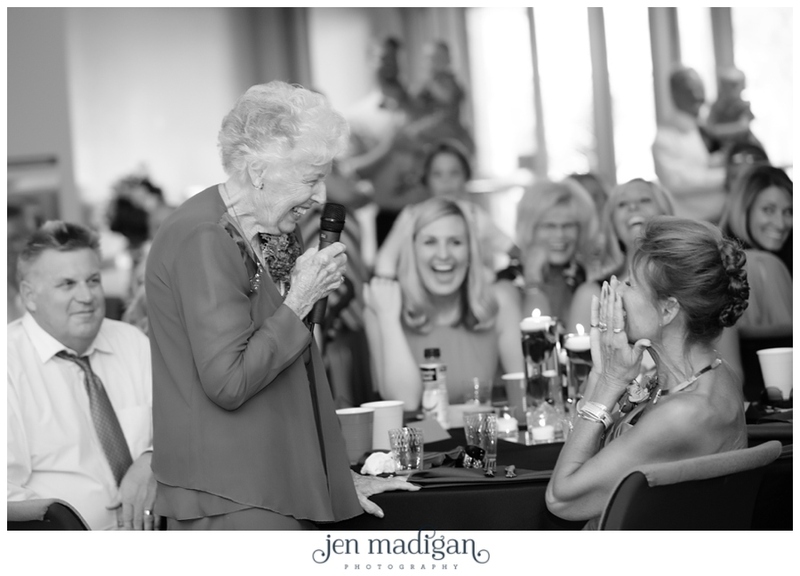 It was such a wonderful celebration, and we are glad we had the opportunity to get to know you and Jake. 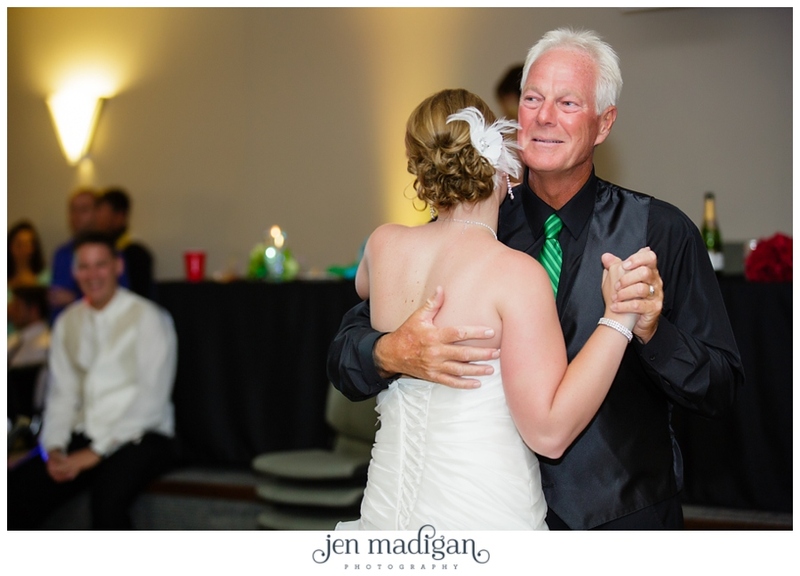 We wish you nothing but happiness now, and always.